Our goal is to share beautiful and threatened marine environments in a way that is memorable, inspirational, and informative. 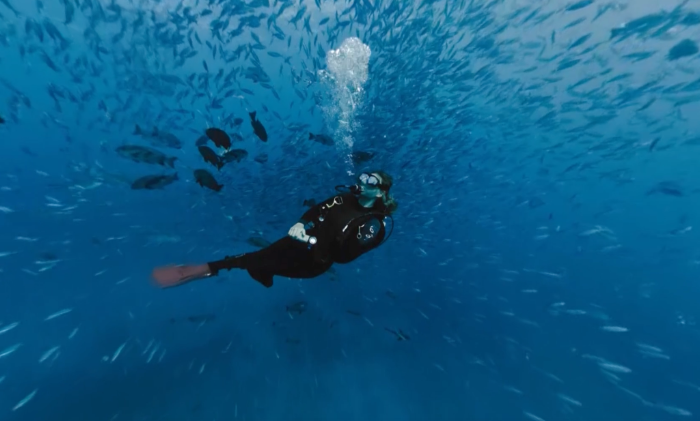 With 360º and Virtual Reality (VR) technology, we are creating a virtual adventure that feels like diving! Our Kickstarter campaign was successful and we are completing post-production for phase one of the project. 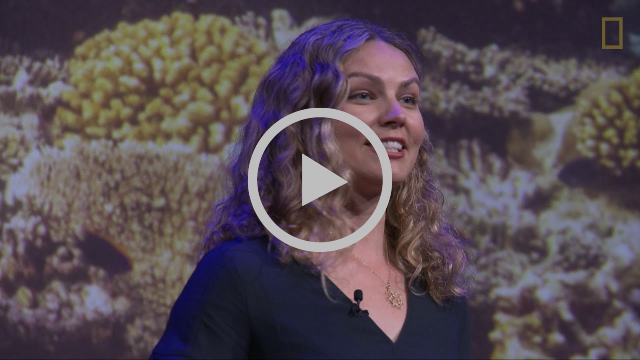 Our plan is to share this piece widely- with classrooms, policy makers, film festivals, and on online platforms- with the goal of generating marine stewardship and promoting science and ocean literacy. Going forward we are seeking partners to help us create fully interactive educational experiences using our incredible footage. Contact us if you have partner leads. 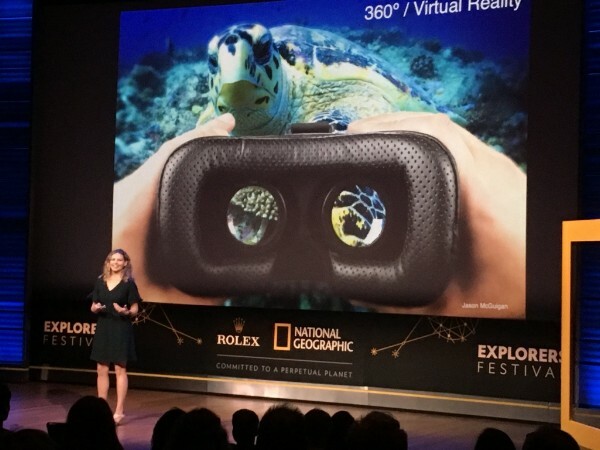 Hydrous CEO, and a new NatGeo Explorer, Dr. Erika Woolsey spoke at the National Geographic Festival last month in Washington, D.C.
We’re throwing our annual Hydrous Happy Hour celebration on Thursday, August 16 at the Autodesk Gallery, in downtown San Francisco. 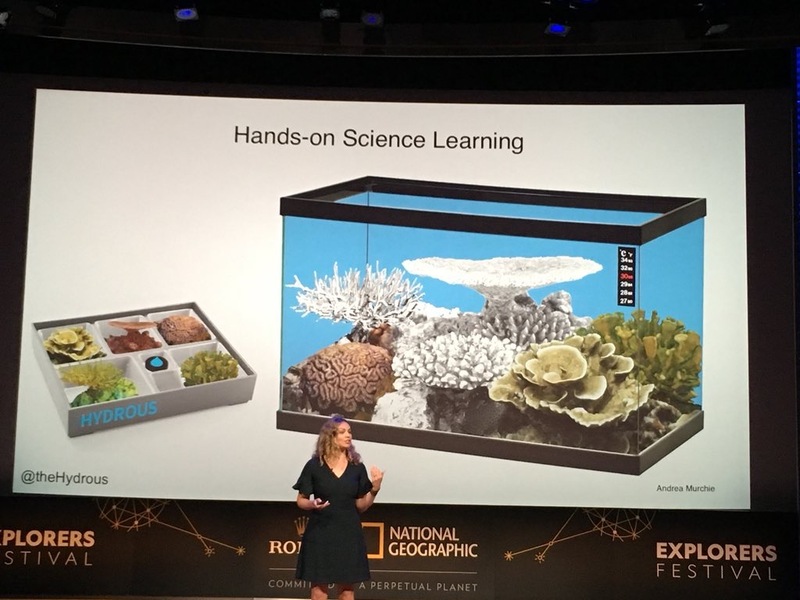 Join us in celebrating art, science, and technology for ocean education. It will be an evening of virtual reality demos, photography, ocean science, and a silent auction. This is a unique opportunity to hang out with a wonderful community of scientists, educators, designers, and ocean enthusiasts while supporting The Hydrous. Beer, wine, and appetizers will be served.